Zoll Medical's innovative OneStep™ Pediatric multi-function resuscitation electrodes combine several commonly used electrode features into one easy-to-manage, reliable package. 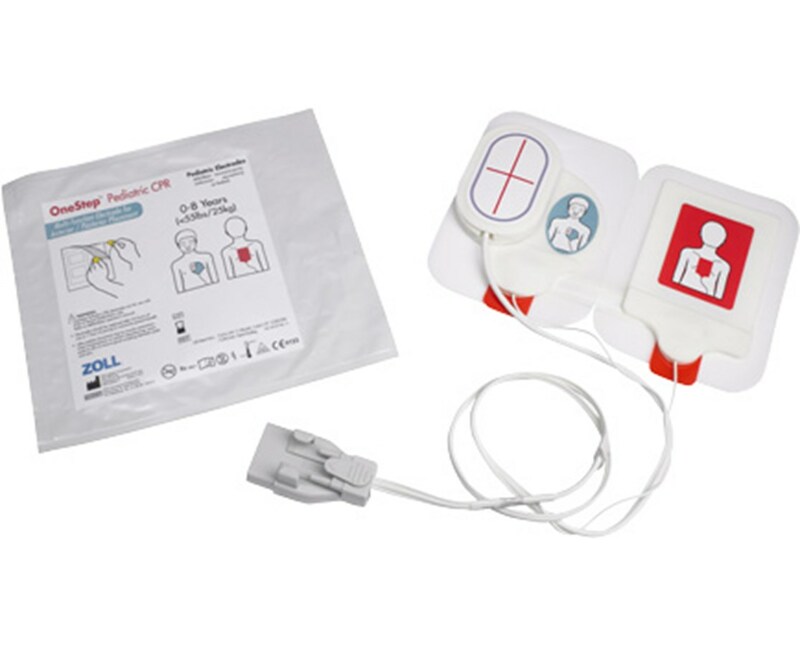 When used with the R Series, the defibrillator automatically adjusts the joule setting to pediatric level. Zoll's OneStep™ Pediatric electrodes are cleverly designed; one hands-free pad eliminates tangles, confusion, and the need for multiple pads and wires. 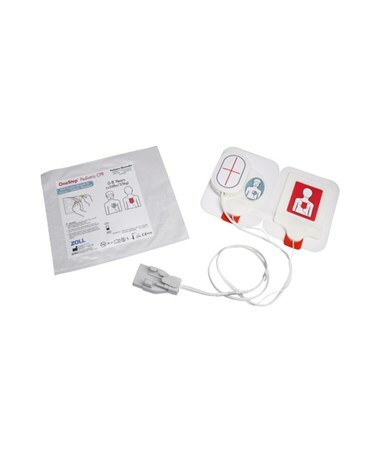 They are approved for use in children under eight years old and weighing up to 55 pounds, compatible with Zoll's M Series (with OneStep™ cable, sold separately) and R Series defibrillators. They boast a shelf life of 24 months and are packaged in a convenient, budget-friendly case of eight pairs of electrodes.